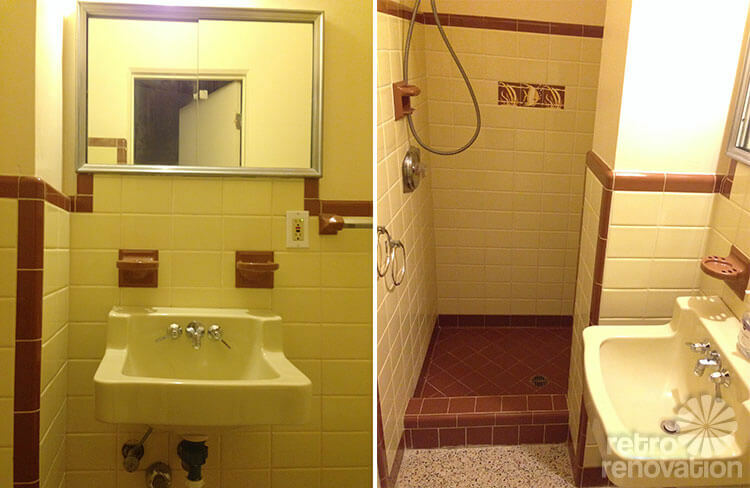 How about painting or papering the walls above the tile in burgundy? I once dated a guy who used maroon/burgundy in his pink bathroom. It did help it look more masculine. Also, our alumni colors were this shade of maroon, so he incorporated some sports logos, too. 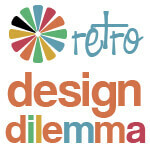 I agree with previous posts— don’t do anything until you have lived with it for a while and try to keep as much of the original as possible. It is a great room! I re-did my pink bath with grey walls (matched the countertop); Added new lighting, mirror, shower curtain. Added pink. grey & black accents. Transformed into my 2nd favorite room! 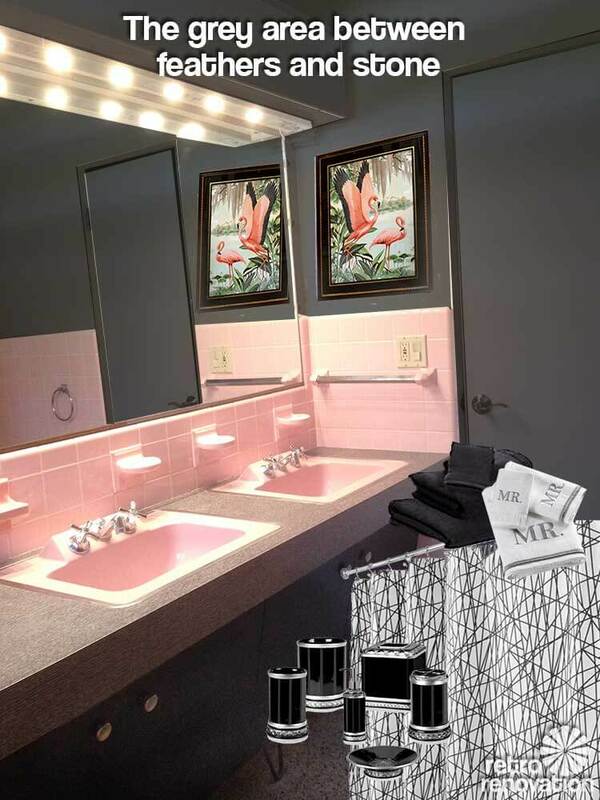 If your main concern is giving the bathroom a more masculine look, perhaps you could combine the pink with another dominant, more masculine, color to tone it down. Perhaps a dark moss green, charcoal gray, or dark brown? 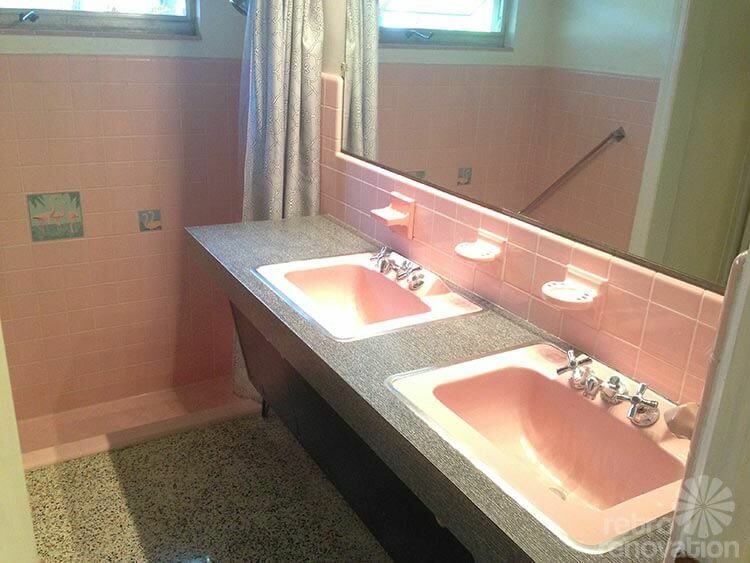 I’ve seen all of those colors mixed with pink in a bathroom, and it can be very striking when accessories, towels, etc. 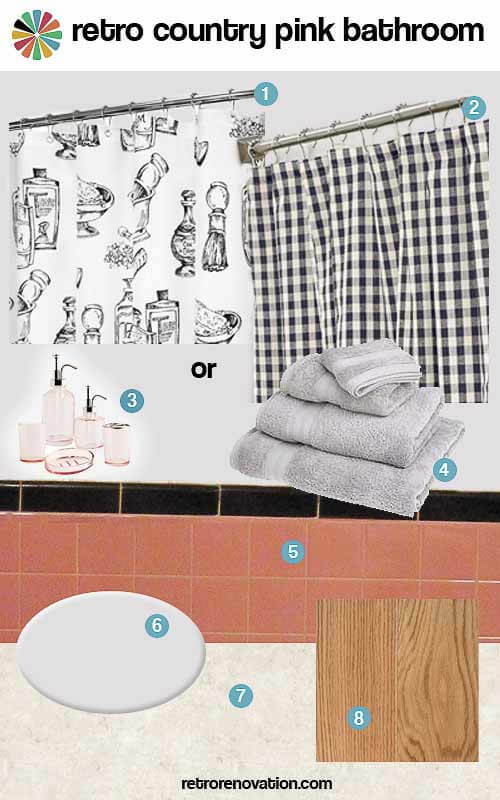 are used to give the room a coordinated, finished look. 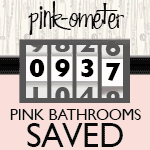 It seems to me that pink is viewed as a more feminine color today, but back when pink bathrooms were all the rage, it was considered more neutral. After all, cars used to be available in pink as a standard color, often mixed with charcoal gray, black, silver, white, or burgundy for contrast. To me, the pink of the fifties and sixties is like the almond of the eighties–it was everywhere. 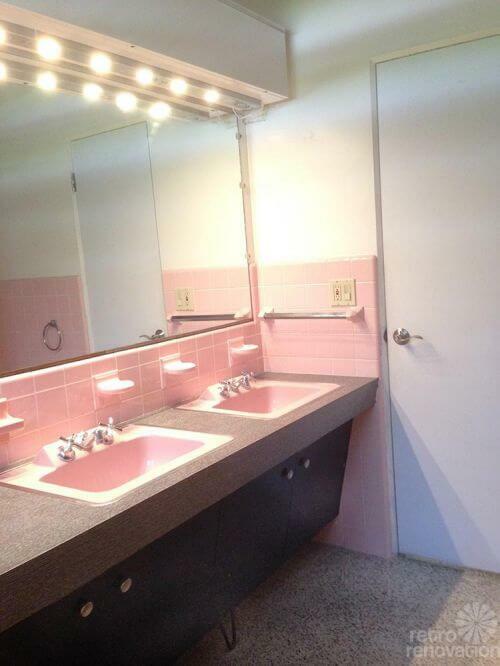 I think you have a lot of options with your bathroom. It can only be original once, and to me that’s enough to retain as much as possible. Be creative and I’ll bet you find something that will work for you. Wow! 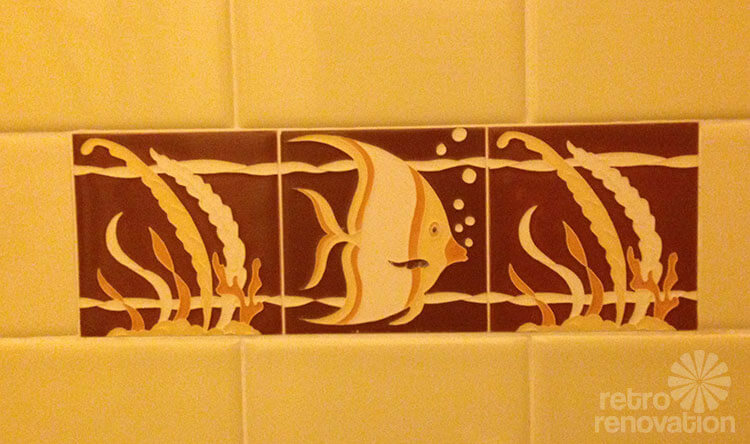 I love the vibe going on in that bathroom! I just recently (2 years ago) moved into a 1950 rowhome which has a pink bathroom, and i found that toning down the pink by painting the walls with a ‘mousey brown’ satin paint did the trick. 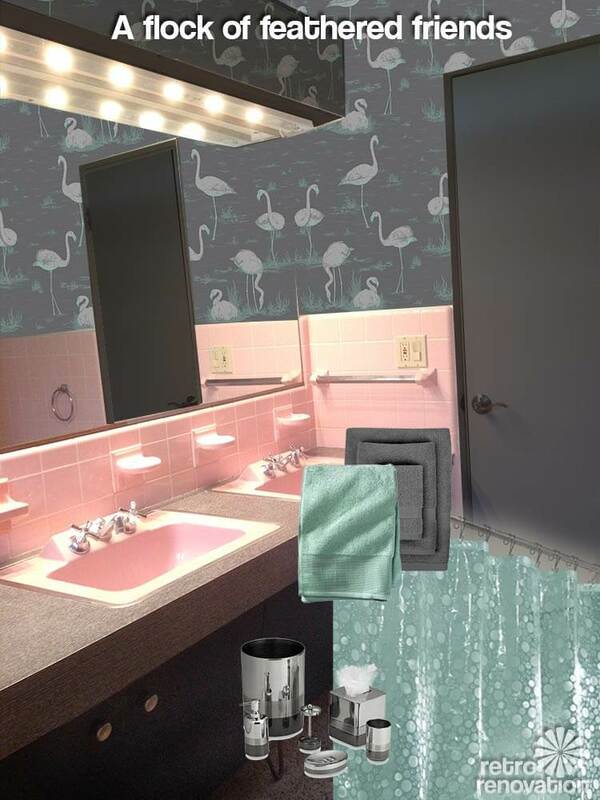 It took on a masculine, sorta “Floridian” feeling too it, and looked more intentional and appealing than the plain white walls which were stark. Add in some chocolate brown or black accessories ( I used muted tones of brown and black in my towels, etc.) and the whole thing took on a different feeling to it. I think with that amazing floor and counter you have, these tones would all come together. (ps: I would cover up those tiles, somehow or replace them.. but that’s just my taste). I think you have a gem on your hands! Good luck! 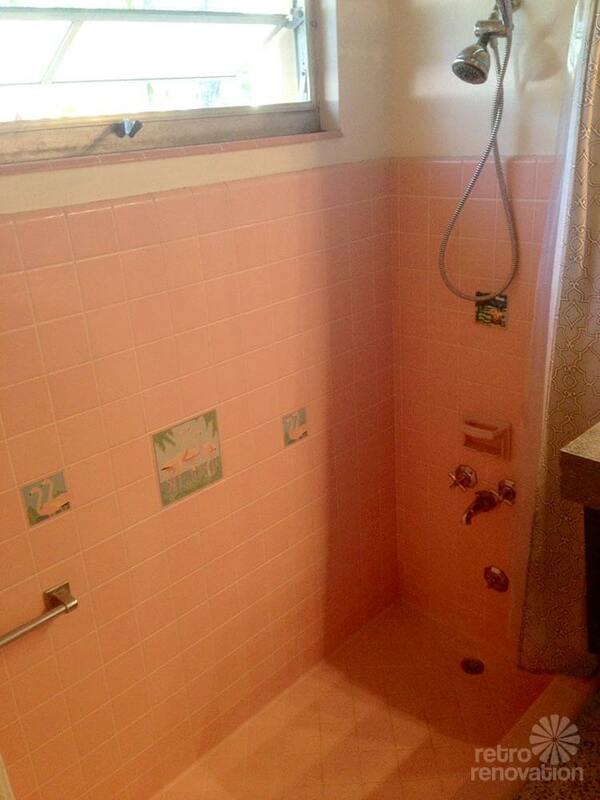 My mother painted our pink tile bathroom’s walls grey in its last incarnation (Dad sold the Houston rancher 10 years ago, and the house is now unrecognizable). 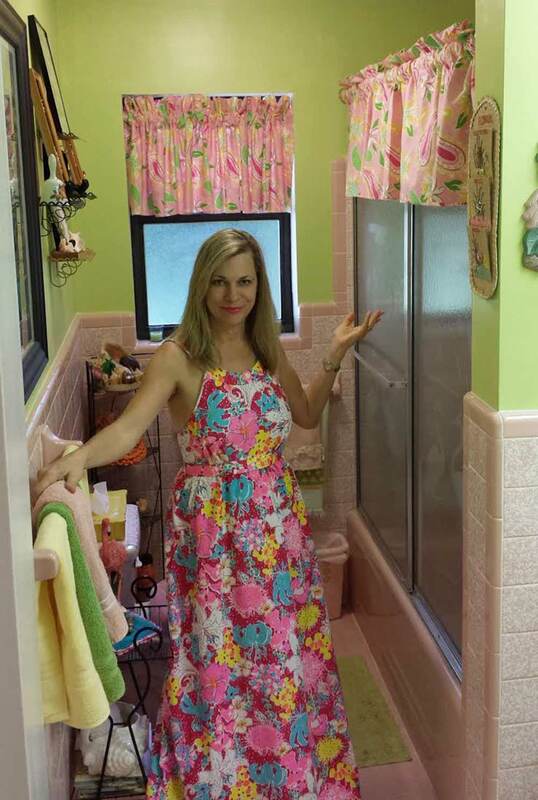 She always worked with the pink tile. First with a wild 70’s floral wallpaper, then with a muted 80’s wallpaper, then finally paint. 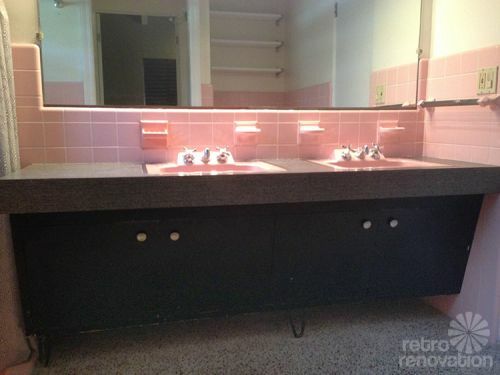 My belief is that as the mid-century homes grow in popularity, as they seem to be, the original features, such as the fantastic tile bathrooms, will add value.